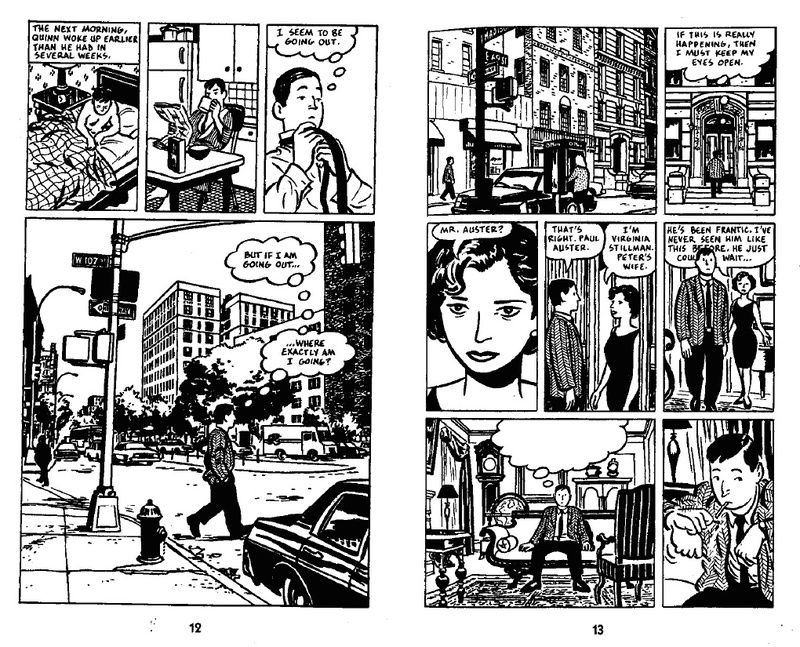 I've been thinking about Paul Auster and David Mazzucchelli quite a bit lately. 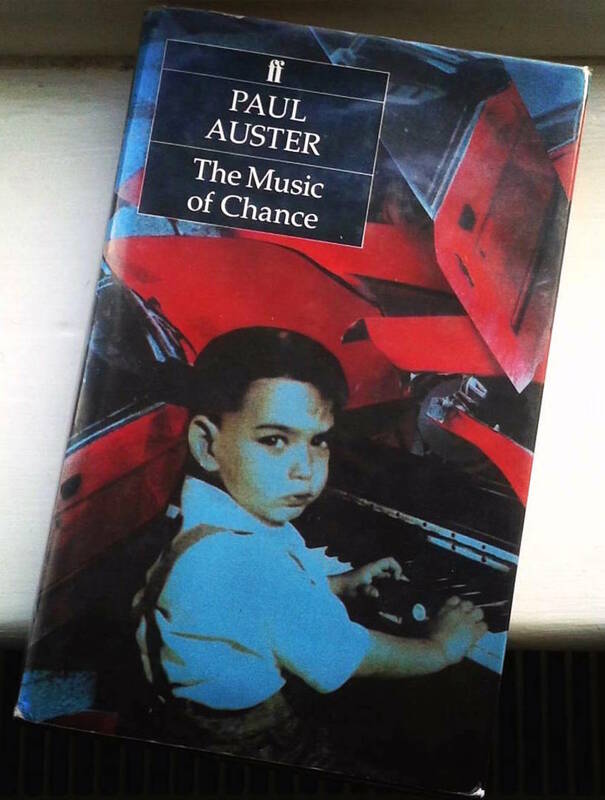 I bought this the other week in Lewes's Bow Windows Bookshop. 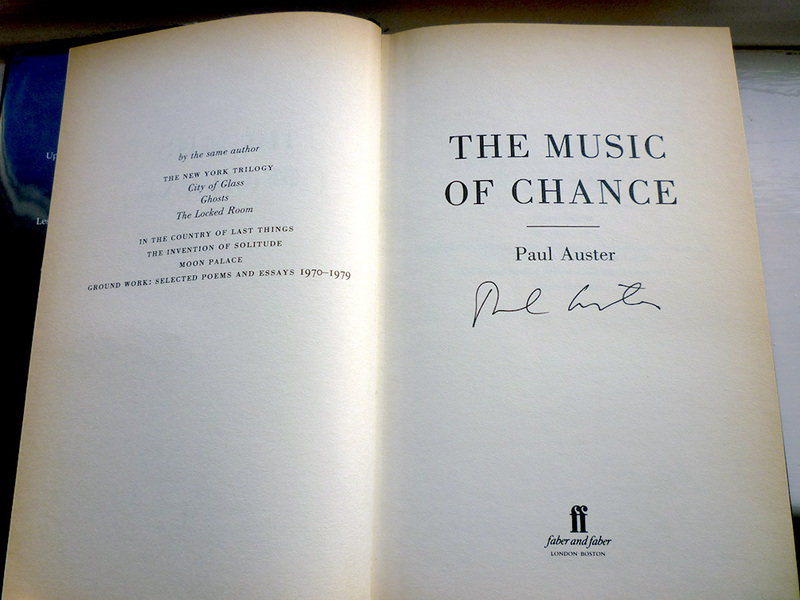 A 1991 Faber first edition of The Music of Chance, signed by Auster on the title page. 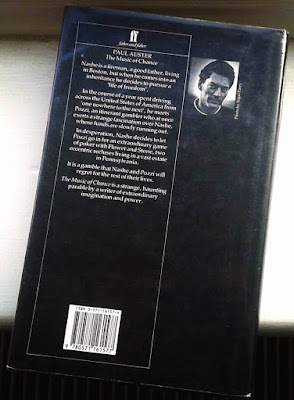 Years ago I saw (on the telly, and then again on a video I taped off the telly) and loved Philip Haas's 1993 film adaptation of the novel, starring Mandy Patinkin and James Spader, and with a new novel from Auster due in a matter of days (4321, a breeze block of a book which seemingly explores similar territory to Kate Atkinson's Life After Life), I figured now was as good a time as any to read the source text. 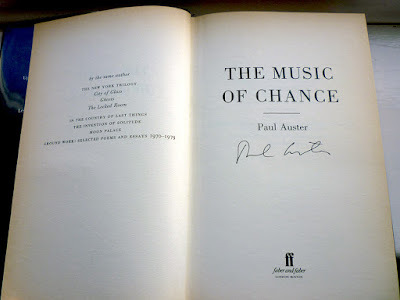 Perhaps unsurprisingly, a lot of what I loved about the film – its theme of fate versus free will, of how life can seem both dizzyingly random and crushingly predetermined – is present in the novel, although I don't recall there being much of Jim Nashe's aimless road trip in the film – where I think he picks up hitchhiking gambler Jack Pozzi pretty early on – whereas in the book the opening 20 pages are given over to Nashe's zigzag across America, a segment I found exhilarating in its freedom and irresponsibility, and even more so when weighed against the oppressive, increasingly nightmarish situation – building a pointless wall at the behest of a pair of vindictive, manipulative millionaires – Nashe and Pozzi wind up in. 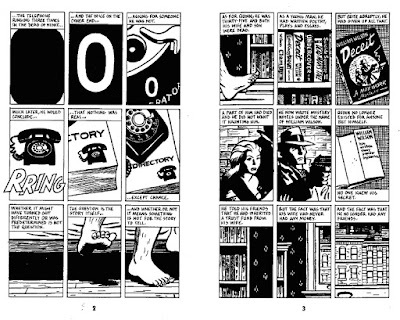 Thinking about Auster got me thinking about David Mazzucchelli, and led me to suggest to the Marvel Fact Files (who I write a fair bit for) that I do a profile on the cartoonist. I've only read one other Paul Auster novel – 1992's Leviathan – but I have read Mazzucchelli and Paul Karasik's graphic novel adaptation of City of Glass, Auster's debut novel (under his own name; he published a crime novel, Squeeze Play, as Paul Benjamin in 1982). 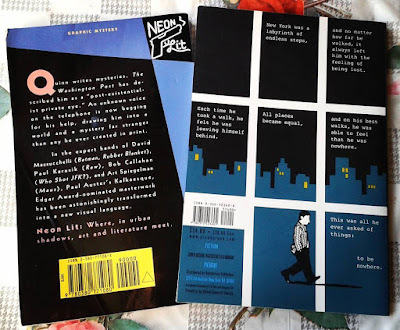 I read it in 2004, when it was reissued by Picador, having been unable to lay my hands at the time on its 1994 Avon original edition – this being before the internet became a thing on which you could buy pretty much anything. Whereas nowadays a copy of that Avon edition, which was published as part of the Neon Lit: Noir Illustrated series spearheaded by the late Bob Callahan (who provides a thoughtful introduction to the Avon edition) and the not late Art Spiegelman (who provides an illuminating introduction to the Picador edition), can be had online for as little as a penny (plus postage). 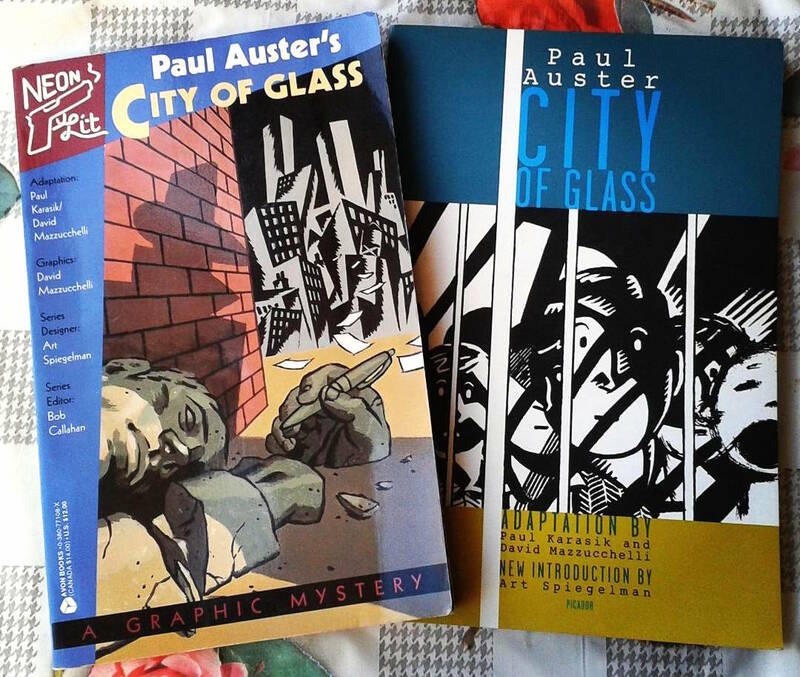 The other day I reread City of Glass – in its Avon edition, which I bought online for as little as a penny (plus postage) – and it remains a remarkable, formally inventive piece of comics, part PI mystery, part rumination on chance and circumstance and destiny. 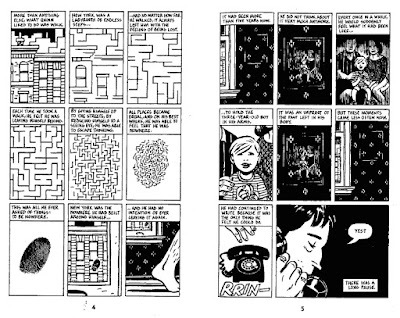 Mazzucchelli described it (to Indy Magazine's Bill Kartalopoulos) as not so much an adaptation as a translation from one language to another, further noting in a Comics Journal interview that there was nothing visual about the original novel. 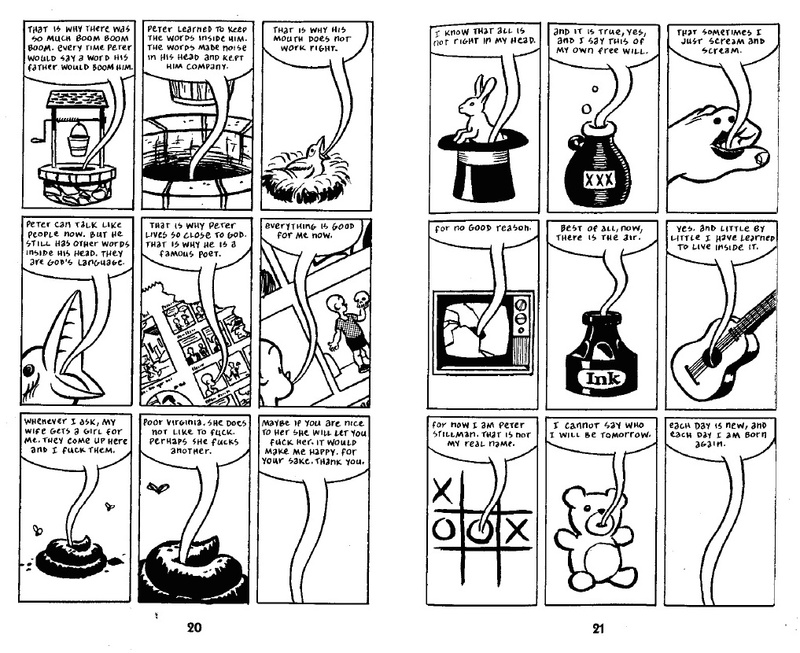 As a result, in sections the naturalistic style Mazzucchelli adheres to for much of the narrative veers off into symbolism and iconography, notably during the sequences dealing with the character Peter Stillman's damaged mind. 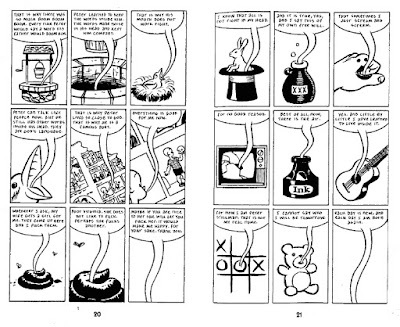 For background to the Marvel Fact Files piece I dug out my collection of Mazzucchelli comics: Daredevil #226–233 (Mazzucchelli and Frank Miller's brilliant, revolutionary Born Again storyline); Batman #404–407 (the same pairing's even more brilliant, even more revolutionary Year One story); issues #1 and 3 of Mazzucchelli's Rubber Blanket anthology (I don't own the elusive #2, and nor do many other people); various issues of Drawn & Quarterly and Zero Zero containing Mazzucchelli strips; Superman and Batman: World's Funnest, which features a four-page sequence where Mazzucchelli channels Jack Kirby; Asterios Polyp, Mazzucchelli's 2009 graphic novel; even the second issue of Bill & Ted's Excellent Comic Book, one page of which was apparently inked, uncredited, by Mazzucchelli (although I've no idea which one). 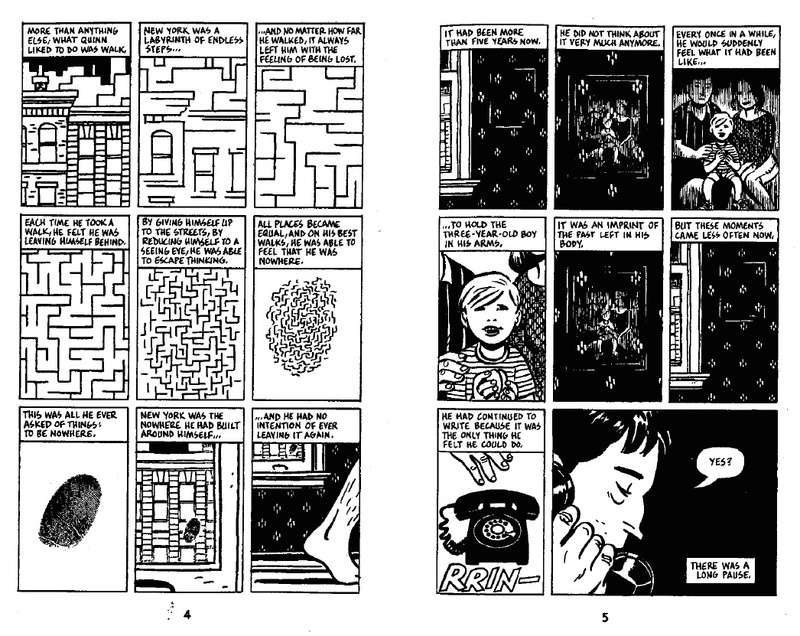 I think I have Marvel Fanfare #40 as well, which contains a Mazzucchelli-drawn story featuring the X-Men's Angel, but if I do have it it's somewhere in the loft in one of two dozen comic boxes. 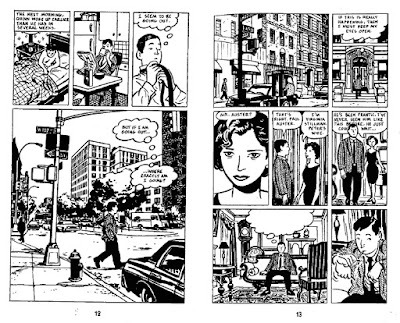 And there are other Mazzucchelli short stories in various anthologies that I don't own; perhaps if I get my hands on some of them, and track down that Marvel Fanfare, I'll do a post on Mazzucchelli's short stories.